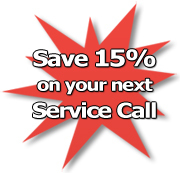 Call JR Repairs & Installs for a 15% discount on all your appliance repair and service in the Portland, OR, area including Beaverton, Cedar Hills, Tigard, and Lake Oswego. JR Repairs & Installs is a family-owned appliance repair business committed to delivering the highest quality kitchen and laundry appliance repair services at prices you can afford. Whether you need refrigerator repair, washing machine repair, or clothes dryer repair, it's typically easier, cheaper, and more convenient to fix your appliances instead of buying new ones. The appliance repair specialists at JR Repairs & Installs are your source for quality workmanship and great customer service. We provide a variety of reliable, cost-effective appliance repair and installation services throughout the Portland area, so call today! Whether you need washing machine repair for a unit that isn't draining properly, refrigerator repair for a unit that won't cool, or dryer repair for a unit that overheats, we're the team to rely on for lasting, comprehensive appliance repair solutions. At JR Repairs & Installs, we're dedicated to providing professional quality workmanship and some of the fastest appliance repair turnaround times in the Portland region. That's why we train all of our appliance repair technicians for the electrical outlet installation necessary for many appliance installations, and we carry all the most common appliance repair components in our truck, so that you won't have to wait. As a family-owned appliance repair service, we understand how valuable your time is, so our team of appliance repair technicians will work around your schedule and can usually provide same-day service. Whether you need a simple washer/dryer repair such as replacing a heating element or a more complicated refrigerator repair, you can trust JR Repairs & Installs to restore your kitchen and laundry appliances to prime working condition in no time! Serving customers across the region, JR Repairs & Installs is your answer for effective, efficient appliance repair services in Portland, Beaverton, Clackamas, Damascus, Gresham, Hillsboro, Lake Oswego, Yamhill, and the surrounding communities. We're here to be your local appliance company, so don't hesitate to bring in our experts to serve you today. When you're looking for a seasoned appliance repair company to help get your home appliances back on track, JR Repairs & Installs is the team to have on your side. Call or e-mail us for more information about our appliance repair services in Portland, including refrigerator repairs, washing machine repairs, dryer repairs, and more! Right now, get 15% off same-day service for appliance repairs. JR Repairs & Installs is your source for great value and great appliance service, so don't hesitate to contact us today. We are currently unable to provide appliance repair service for small appliances such as trash compactors, toasters, hedge clippers, electric mixers, and air conditioners. We apologize for any inconvenience.